Razor Performance Riding (RPR) is dedicated to developing and enhancing knowledge in motorcycle maneuvers, especially on high-performance premium bikes, for increased road safety. Instruction is provided by professional instructors who have broad knowledge, insight, experience and skills. The school assists and teaches the student to develop the level of confidence and basic and advanced skills in low speed maneuvers with the motorcycle until the development of advanced knowledge for the competition. 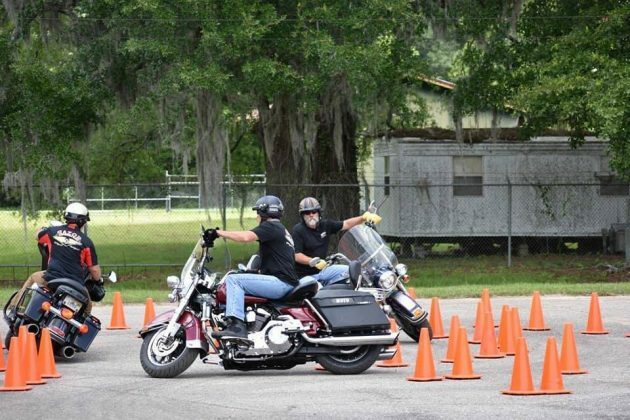 Razor teaches advanced pilotage techniques where students develop concentration and rapid processing of thinking and trust for decision making at the helm of the motorcycle and thus prevent accidents. Razor was created by North American Scott Overstreet, owner and instructor in April 2014, and headquartered in Florida – USA. Scott is an award-winning racing driver, who has had the motorcycle inserted into his life since he was a child. His passion for motorcycling led him to develop his own riding techniques and to create Razor. “The name Razor came from a nickname given to me by friends because of the way I drive,” Scott explains. He has a great spirit of joy and loves to share his knowledge to help motorcyclists to always have a safe ride and live fully with the pleasure of riding. “I like to see my students learning and having fun with their bike, everything in tune and with good energies,” says Scott. 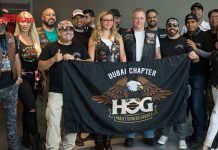 Razor has partnered with Harley-Davidson in the United States, Spain and Brazil, where the school is present. And, according to the founder, Razor will soon be present in other countries. Scott is certified by the Motorcycle Safety Foundation (MSF) as an Instructor in the years 2001 and in 2002 as Rider Coach. In 2008, he was certified as Police Motor Operator and in 2012 as Police Motor Operator Instructor. 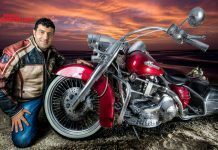 He also competes annually for motorcycle training and competition seminars in the United States. All RPR courses are developed with both theoretical and practical parts. The classes are transmitted to the students with 4 fundamental approaches, where the concepts of RPR are taught. The instructor explains the course and the exercise and then demonstrates the method to be used. Next, students will do everything they have been taught. 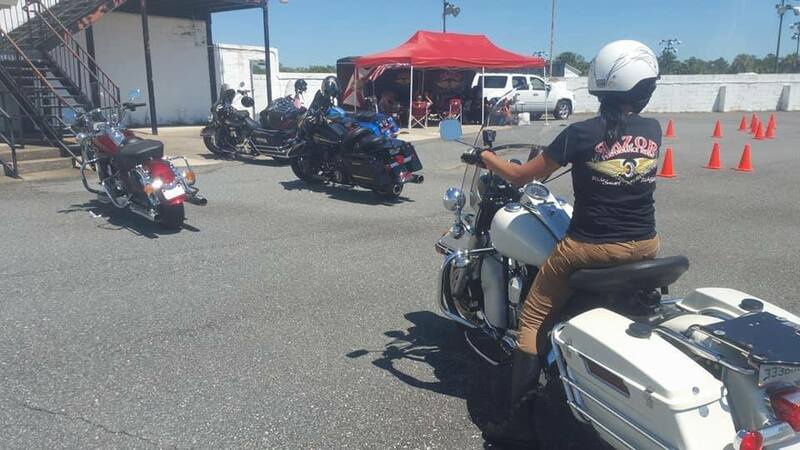 All training levels discuss and include, among others, the following teachings: entry and exit from the parking area; offensive and defensive driving; advanced torque torque techniques; parking with alignment; engine shutdown, lifting of a motorcyclemotorcycle “tipping”, among other aspects. The student will have to use, in the classes, his own motorcycle with valid registration and proof of insurance; must have a valid driver’s license for motorcycle riding; have at least one year of driving experience or a minimum of 400 km. The motorcycle must be in good working order, including cooling and charging systems, as well as a good battery. You should wear protective gear, which includes a closed and approved helmet, jacket and long trousers, gloves and boots that cover the ankles. Absolutely, no racing tire or compound tires or even car tires will be allowed on the bike regardless of whether or not these are approved by competent institutions. 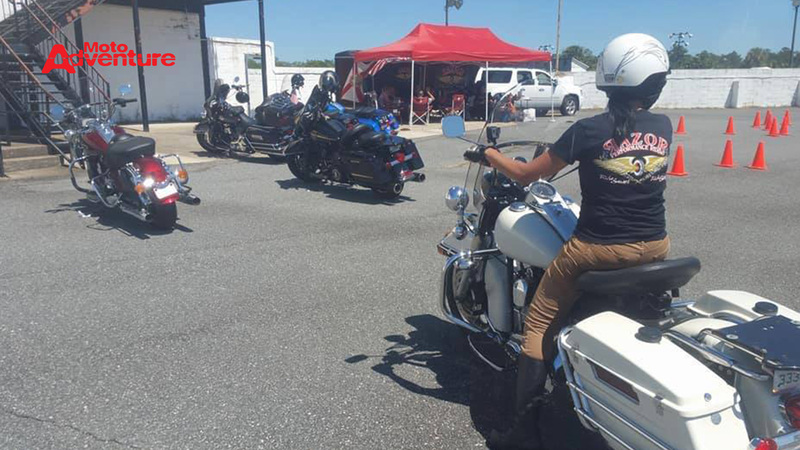 Moto 101 – General Instruction: With 6 hours of duration, it includes teachings of coordinated control of acceleration and friction, wheel placement, brake control, low speed turning, foot placement and surface evaluation. Advanced Razor Riding – Innovating Techniques: Duration of 12 hours. Coordinated clutch control and increased acceleration, advanced wheel placement and line selection, increased controlled braking and reduced braking, plus improved surface analysis. Includes membership and completion of the Moto 101 course. Police / Expert Civilian Motor School Training – 80 hour duration: police training and motor school specialist. Clutch and maximum acceleration – mastering friction control; advanced wheel placement; line selection – dominating the journey path; increased controlled braking; positioning of the amplified body, understanding the dynamics between rider and his motorcycle. Refresher Riding Clinic: 3 hours long. The driver updates basic fundamentals such as: acceleration and friction control, quick stops; brake control and vision, line selection, low-speed maneuvers and evasive maneuvers. RMS + BRMU Motor School. Special for those who like to travel. This class consists of two parts, designed for pilots in Brazil, but is now open to other students in the USA and other countries where Razor is present. 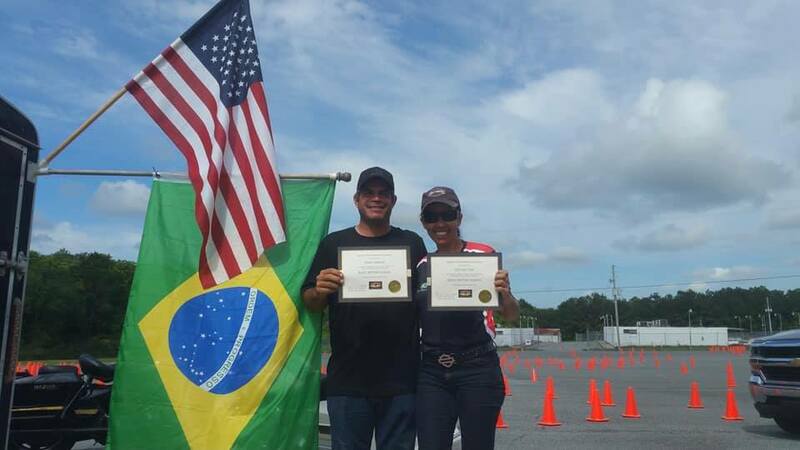 The class starts with a week in Brazil (May) and a week in Florida (October) for a two-week combined certification and conclusion. Here in Brazil, Razor is officially present this year and already prepares its physical headquarters in Campinas (SP), with Razor Riders Brazil, which has as instructor and director Lylian Tsai, who is also director of HOG in Campinas and represents officially the Razor Performance Riding (RPR) here in Brazil. In addition to Campinas, Razor is present in the capital São Paulo, with PVB (Low Speed ​​Piloting) and with Safe Rider in Curitiba (PR). There are plans for expansion and training of new instructors throughout Brazil. According to Lylian, Razor in Brazil offers the same courses that are offered by Razor North American. The courses are normally offered at the school, can be carried out by the students individually, personalized with private lessons. The students have different levels of piloting. Both civilian and military. We teach anyone, independent of the motorcycle, because the technique of piloting is for low speed and for any motorcycle. Those interested in Razor courses are formed by many Harley-Davidson owners, including women. Many have already taken the course. “Most of the registered students have the Electra Glide Ultra bike, because this bike is more difficult to maneuver and, by applying our technique, it is possible to fly at low speed without any difficulty,” explains Lylian Tsai. The evolution and the skill in the piloting happens according to the intensity of the trainings. “It’s a progression, every time you train, it increases your ability a little. We’re always learning something new, “explain Lylian. 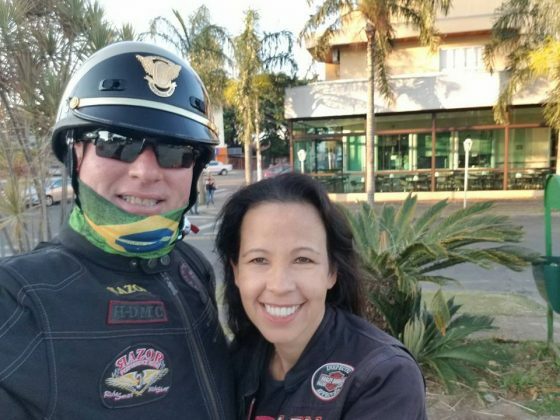 Lyian, who is also a dentist, likes to do her training alone, and tells of her enchantment for the Harley-Davidson maneuvers of some American cops, which made her decide to do the same with her HD here in Brazil. “I always admired the American cops doing maneuvers between the cones and I had a bike just the same, that’s when I decided that I could do it too. Scott was instrumental so that I could learn, because no Brazilian instructor was able to teach me. 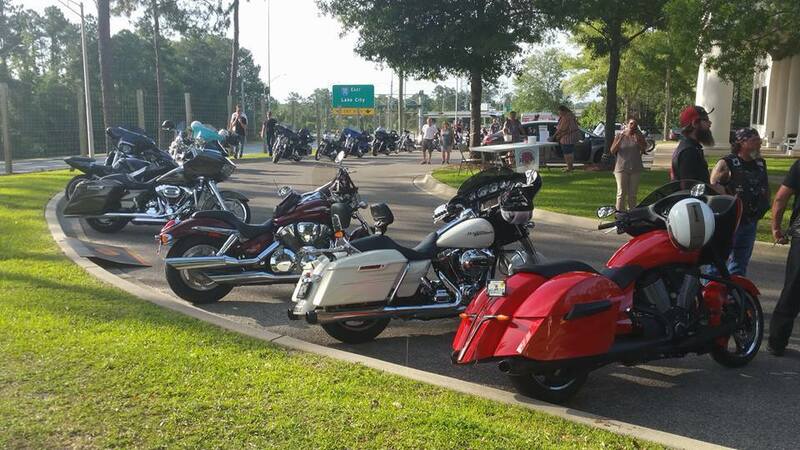 I started training when I replaced my Harley-Davidson Deluxe bike with the Road King Police. Scott was my coach from the start. I trained for a year in Brazil, practiced every weekend, without exception. I just did not train when it rained. He trained me online. I got ready for a year to get the Motor School course in Florida. It is a very difficult course. I spent 10 days training all day in Florida and on the last day got the test. The test consists in making a circuit in a certain time, without making a mistake, that is, without touching any cone, without putting foot to the ground, without falling the motorcycle, etc. I always trained here and there without using the brake. A very difficult technique. According to Scott, I was the only student of him who did all the training and the proof without brake. Proof is a succession of exercises, a circuit. They call it No Brake. Here in Brazil, I trained for a year, including Saturdays and Sundays, except when it rained. It rains little where I live. And I trained for 10 days, all day, in the USA, under the sun, an intense heat. Was difficult. You have to have fitness. Staying from 8:30 a.m. to 6:00 p.m. training is very arduous, even at intervals. I train and teach. I like to train alone, I rarely train with anyone. I concentrate better alone, “says the instructor, who delights in her perfect control over the great and beautiful motorcycles. And for those who love their machines and want to have 100% control and safety in their maneuvers, Lylian gives the hint: “For motorcyclists who want to increase their skills, I tell them to train whenever they can, to learn the correct technique and to apply in training. Skill improves by properly applying technique and training often”. 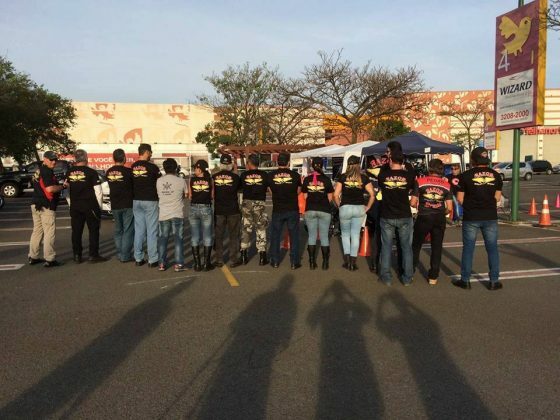 In addition to its own headquarters, Razor in Brazil accepts invitations from other driving schools to be present at its premises to teach piloting techniques to all who wish. To do so, it is enough that the school has good safety equipment for both the motorcyclist and motorcycle (protection to avoid damages in case of falls) and safe place to carry out the training. According to Lylian, the maximum number of students per class is only 6 enrolled, so that everyone receives full attention in the execution of the maneuvers and do them safely. 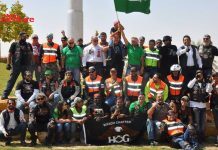 Razor’s intention is to be present throughout the country, bringing its techniques to everyone so they always safely ride and enjoy their bikes with confidence in any traffic situation or on the road. “It’s always good to do what we like the best we can and learn new techniques that give us more safety and confidence in the daily maneuvers on our bikes. This gives us more pleasure and joy, avoiding accidents, falls and damage to motorcycles and ourselves. That’s it, let’s always ride safely and harmoniously on the road and on the highways, “Lylian concludes. Cláudia Terra is a journalist, rider and lover of the Harley-Davidson universe.